The aim of this study was to reveal the biological activities and in vivo toxicity profiles of n-hexane, chloroform and methanol extracts of brown algae Halopteris scoparia L. Sauvageau. In this study, extracts were tested for their phytochemical contents and antioxidant activities. 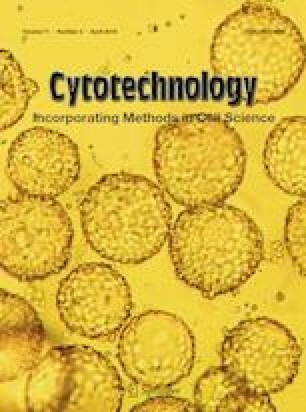 The cytotoxic activities of the extracts against cervical adenocarcinoma (HeLa), colon colorectal adenocarcinoma (CaCo-2) and breast adenocarcinoma (MCF7) cells were assessed by MTT assay and total RNAs derived from cell lines to analyze gene expression were analyzed by Real Time Ready Human Apoptosis Panel 96. Also, in vivo toxicity and irritation effects of extracts were evaluated by LD50 acute toxicity test and Hen’s egg test chorioallantoic membrane (HET-CAM) assay, respectively. Our results showed that the phenolic and flavonoid contents were determined only in methanol extract (33.20 ± 1.41 mg GAE/g and 1.26 ± 0.95 mg QE/g). Also, n-hexane has a broader spectrum of content than methanol and chloroform extracts. Furthermore, n-hexane extract in DPPH and methanol extract in ABTS+ exhibited the best antioxidant activity. In addition, MTT results revealed that each three extracts cause a significant reduction in cell viability, especially in HeLa cells. When the apoptotic gene expressions were examined after treatment of extracts, the expression of many pro-apoptotic genes in both caspase-independent and caspase-dependent intrinsic and extrinsic pathways increased. These findings suggest that, considering that it had not led to irritation and toxicity in vivo, edible H. scoparia is a natural antioxidant and its apoptotic/cytotoxic activities can potentially be used against human cancers. The online version of this article ( https://doi.org/10.1007/s10616-019-00314-5) contains supplementary material, which is available to authorized users. Authors are appreciated to Assoc. Prof. Dr. Baykan, Ş., for her scientific contribution. The study was supported by TÜBİTAK-2211 Scholarship and Ege University BAP project (2013/FEN/015).